As writers, we're treated to an interesting view of the auto show circuit. We kick in the doors, cram in as many press conferences and interviews as possible, then bolt from the scene as fast as we can. In doing so, we often take for granted the incredible amount of work manufacturers put into their displays. Set up and tear down often takes days, with hundreds of hours of planning and design work leading up to both processes. 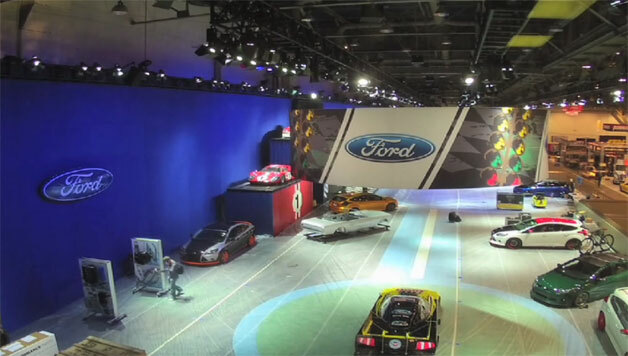 Ford has released a time-lapse video from this year's SEMA show depicting the long build-up and tear-down slog.